The opening of TBEX kicked-off with a speech given by the immensely successful Chip Conley, founder of Joie de Vivre Hospitality. Chip captivated the entire audience with his personal stories of travel and forward-thinking, all which ultimately molded him into the savvy business man he is today. Throughout the day, choosing between which sessions to attend proved to be quite challenging. Each and every TBEX attendee tweeted speaker quotes, Instagram’d session photos and took pages upon pages of notes; Ian Cleary, Don George, Shane Dallas and Kash Bhattacharya were all personal favorites of mine, and a lot was to be learned from these guys. Increasing your audience, engaging your audience and budget travel break-outs are just a few examples of the 35 sessions offered, with something to fit each and every niche. To close, Audrey Scott and Dan Knoll of Uncornered Market wrapped the events up with a fun and also motivating speech of their travels as a couple, and even received a standing ovation. Listening to each speaker tell their stories, give advice and teach us listeners ways to better ourselves as bloggers was exhilarating. 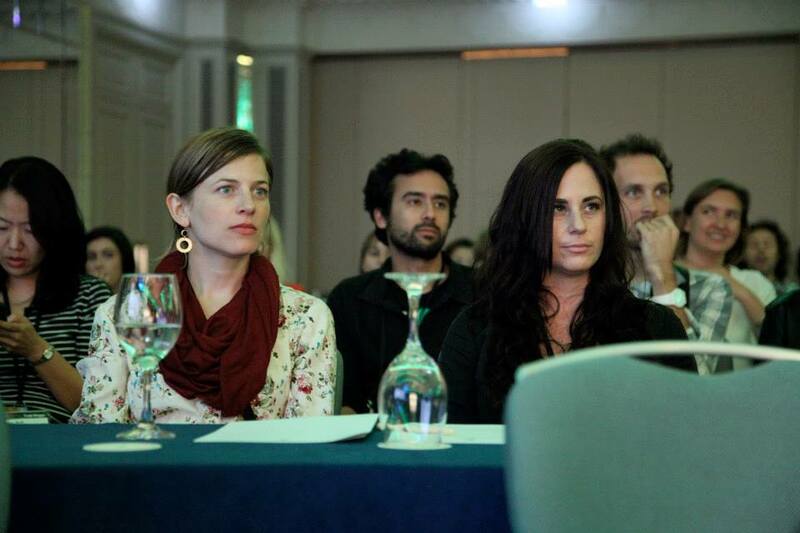 Myself & the Amazing Helen Anne Travis, Courtesy of TravelMedia.ie, listening to Uncornered Market. TBEX has sessions, keynote speakers and chances to pitch yourself to companies in hopes for future collaborations, but that’s not what TBEX is about. Sure all those aspects are awesome, but the REAL key concept to successfully attending TBEX is networking your little buns away until you have no more buns to network! This means introducing yourself to hundreds of people each day, talking until you feel your voice disappearing and partaking in numerous alcoholic beverages with a huge heap of strangers (not bad, eh’?! ), all in the name of networking! My favorite part of networking was the easy task of just asking questions; picking brains was, for me, the best part of TBEX. Each and every blogger, no matter how successful or new to the game, has something new to learn from, and that’s phenomenal. From the heavy-hitters’ talks about inspiring success, to the bloggers that are a few years in the game and struggling to find that specific niche, and even the new guy who was attending just for ideas on how to start, it was absolutely amazing to hear their stories, gather ideas and learn from their successes/failures to better my own blog. A truly unmeasurable jackpot of wealth, networking at TBEX is a priceless experience I am so fortunate to have experienced. OK, So The Idea Of Bringing 2,500 Business Cards In Your Carry-On Is Absurd…. Along with the notion of network, network, network, I would also suggest NOT getting so incredibly carried away with the idea of networking that you might bring 2,500 business cards in your carry-on. Not that I did that, or anything… it’s, uh.. it’s just a thought…. This is where you as the reader would probably think I’m going to say some witty “come hungry for knowledge” quote, and I totally could insert one here, but you’re wrong. Come to TBEX hungry starving for food and booze! Seriously, I had no idea, nor did I expect, to have the plethora of food and drinks given to us that we did! From coffee breakouts with pastries, oyster bars, sushi and local-caught fish, Irish cheese selections, Guinness stew, wheelbarrows full of Ben and Jerry ice cream cones, amazing buffet options, inventive passed appetizers… the food we ate and the never-ending flow of Guinness was mind-boggling! Private parties at the Guinness Storefront, showcasing fire breathers, and another at the Odean, sponsored by Expedia with bobble-head characters dressed as U2, were highlights of the conference. Parties went into the midnight hour, with many people continuing on into different pubs and clubs, ultimately staggering back into their rooms and hostels in the wee hours of the morning. TBEX sessions started at the painful hour of 8:45am, but luckily the amazing coffee and pastry spreads as mentioned above were waiting for us… staring at us… begging to be consumed! Basically, if you’re one that needs heaps of sleep to function, TBEX aint’ for you! 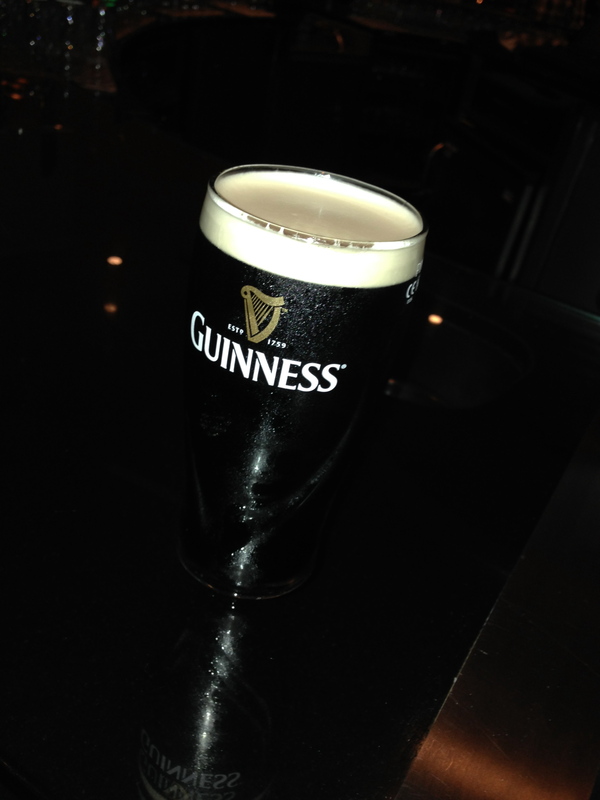 Check-out this video of the astonishing private party we attended at the Guinness Storefront! To bond over the best damn beer in the world was fantastic, and a great way to build friendships. The Roaming Bean is a fairly new blog, and writing it is something I want to do full-time eventually. There are times when I feel that maybe that isn’t the career to pursue, especially when it seems like no one is listening. Chip Conley brought up in his keynote speech how incredibly frustrating this is as a blogger, when you write something you feel needs to be read and no one comments. The entire room agreed, laughed, nodded, and I suddenly realized hey, this happens to everyone. Listen to the speakers, absorb their thoughts and advice; that simple discussion resonated with each and every person in the audience, and was referred to all week by other speakers and attendees. It was in Chip’s speech, the TBEX opening, that I was first inspired. Inspiration comes in many forms at TBEX, and a moment that really sticks out to me was when Shane Dallas of The Travel Camel, a conference speaker himself and fellow Twitter friend, sat beside me during one of our fam trips and asked me for advice on how I approach companies, what I say to sell myself and even took a copy of my professionally printed media kit as a guide for himself. I kept asking him why he was asking me, I just didn’t understand how I could have been of help, and he kept saying “because you need to teach me.” To have someone as big as The Travel Camel ask little ol’ me for advice was the BIGGEST, unexpected boost of confidence I could have ever had, and it’s one of the main driving forces behind me writing this post. THANK YOU, SHANE DALLAS, FOR BEING MY FLOWER. I was insanely lucky, almost fortuitous, for TBEX to be my second trip to Ireland within a five month period. 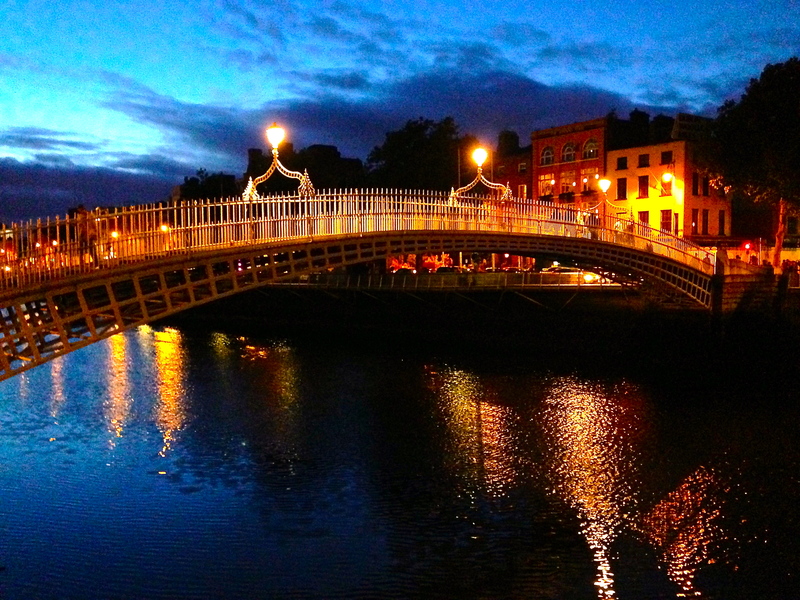 When I first arrived this May, within the first day of roaming the cobblestone streets and pub crawling, I knew Dublin was rivaling my previous “favorite city” into becoming my new favorite city I have to live here city! Sure enough, after this second trip to the land of a thousand welcomes, Dublin has officially stolen that title, and nothing made me happier than seeing blogger after blogger agree with that notion. 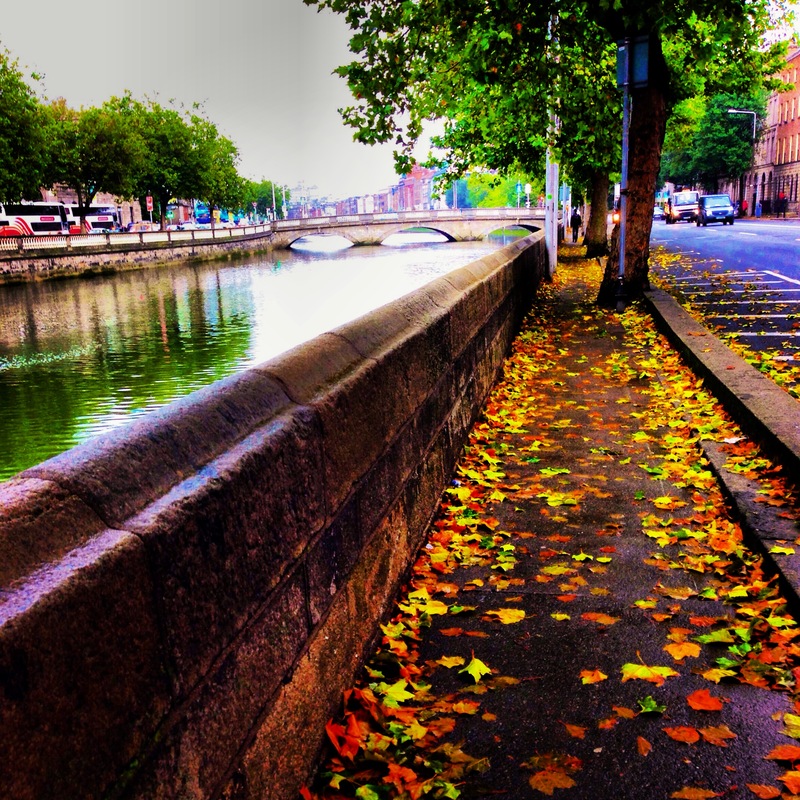 Simply put, there is no way you can’t fall in love with Dublin; from the charming buildings and architecture to the welcoming people and friendly smiles, Dublin exudes a certain magical “I belong here” feeling that no other city can compare with. I want to spend forever in TBEXland! Sláinte to all the amazing sponsors that made this event beyond incredible! Thanks for the post! It is comforting to read that there are bloggers from all stages that attend TBEX. I’m thinking of going to Stockholm this July (haven’t gotten my ticket yet!) and, as a newbie, it is comforting to know that not everybody there is a well-established blogger with a large following. I had no idea that so much food and booze would be provided! I was thinking of heading to Stockholm, too, but have decided not to go. It can be overwhelming if you’re in the stages not exactly knowing which direction to go with your writing. Everyone seems to have an idea of what you should do, and while it’s great to have everyone’s advice, it can leave you confused! If you go, definitely have business cards and network your buns off!! Dublin is AMAZING! My favorite city, and the Guinness, especially straight from the factory, is phenomenal! Hope you visit it, soon! 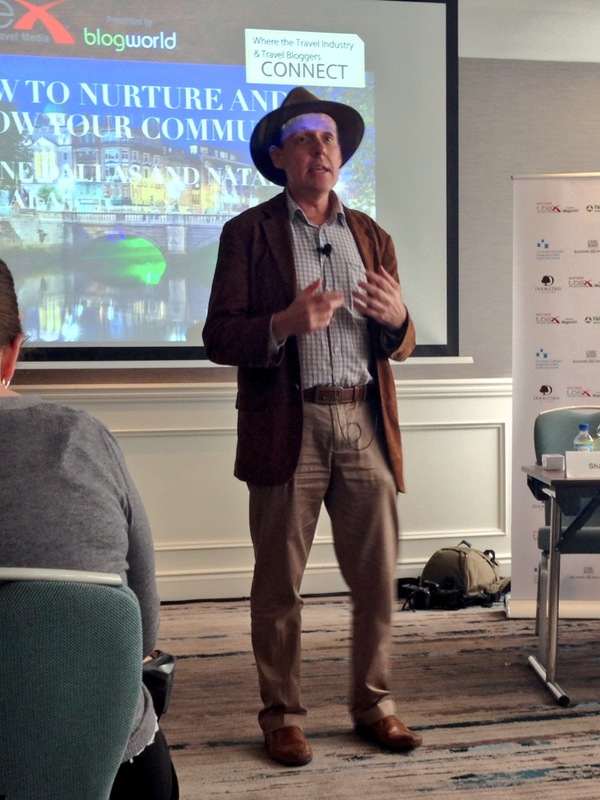 TBEX being in Dublin this year was just the icing on the cake! Your trip sounds amazing in so many ways, sharing and getting new ideas. Your writing is amazing do not second guess that ever, I have been so taken in when you blog about your trips ,it makes me feel a part of them. Keep it up woman. Isn’t Guiness the best!!!!! Thank you for the glowing review from a newbie perspective Jen. Our team works very hard on TBEX and it is humbling to read a post like this and see someone enjoy it so much. Thank you so much for taking time to read my review! Your team did a fantastic job planning TBEX, and I cannot wait for the next conference! TBEX has opened so many new doors for me; new travels and partnerships, continued partnerships and of course, a new network of bloggers to lean on! Hi Jen! Nice post – I’m new to the “pro” blogging world and didn’t really know what these conferences are all about. Nice to get a perspective from someone who’s also a newbie. How to approach companies, sell yourself, printed media kit – yikes, maybe you can write a post on that too because I wouldn’t know where to start. I’ve been thinking about doing a post on media kits and pitching to companies; perhaps I’ll post one soon! My best advice is to be confident, know what you want, and be able to clearly detail to a company what their ROI is on working with you. Those are the keys to a successful partnership. I’ve been somewhat successful this last year, however finally attending TBEX and networking has brought me so many new partnerships and opportunities, that I can’t stress the importance of attending these conferences enough!! Definitely go to one if you have the chance! Beat of luck with it all! Yes, will do! I’m 3 months into it and have worked primarily on the site and social media (which was brand new to me). Will attend one of those conferences when I feel I have my feet firmly on the ground. But yes, I would definitely be interested in a post on all that stuff. Established bloggers sometimes forget some of the basics they had to deal with when they started out so those tips always useful for newbies. Your experiences are really amazing. I would love to see Ireland now. Seeing it through your eyes, with all the passion and excitement , It has really sparked my interest. I enjoy your blogs and travels. Thanks, Pam! I hope you can make it there one day soon! Great post! I had so much fun sneaking away with you for some stew! Lol I think that was the last meal I actually ate because I was so busy “networking”. : ) Stay in touch, let me know if you come to NYC! Thanks, babe! It was so nice meeting you, and yes, our getaway was the perfect icebreaker for the events that followed! I’ll definitely let you know when I’m in town! Fantastic report and photos, I was so sad to miss this event, and am even sadder now after reading your report…though maybe a few pounds lighter!!! Thanks, Joan! I was wondering if you’d be there since it was basically in your backyard! It was amazing! Absolutely amazing! I’ll definitely be planning all future travels around TBEX! Maybe I’ll see you at the next one?! It could well happen, we will keep an eye on it!